Do you know about the latest updates of Chhattisgarh government jobs? Are you a candidate looking for Librarian & Sports officer posts in high education department? Here is a great opportunity for all you to start your career in the Government sector. Currently, the Chhattisgarh government has released the notification for Recruitment. The Chhattisgarh Government aimed to fill up the vacancies available in High education department. 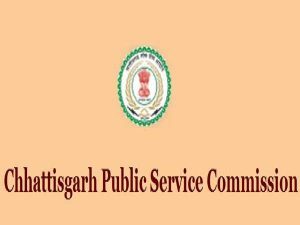 The main aim of CGPSC requirement 2019 is to fill up the 117 posts for Librarian and Sports officer post. Job Location: Department of High Education, Chhattisgarh. Candidate should be passed post graduation with Library science / info.science or Documentation Science. Candidates who have passed full -time PG in Library Science or Info.Science/ Documentation science with at least 55% marks are eligible for this post. Applicants with certification in library science or Info.science/ Documentation Science will be preferred for CGPSC Librarian Requirement 2019. Candidates who have passed in Post Graduate in Physical Education or Sports Science with at least 55% marks are eligible for this post. Applicants with Certification in Physical Education or Sports Science will be preferred for CGPSC Sports officer requirement 2019. Mode of Payment: The candidates can pay the Examination fee through Debit card, Credit card, Net Banking to apply for CGPSC Librarian & Sports Officer Requirement 2019. Step 5: Check your version of OS and Browser options as mentioned on the instruction, else update your device suitable to apply the form from your system. Step 8: There are many options will be posted on the website to view the details, to apply and to re-edit the applied applications, choose your criteria. Step 10: Upload the Scanned Photograph and signature as per the given guidelines, and verify the given information twice before by preview option then pay the application fee through online and submit the application. Step 11: Take a printout of application for future use.